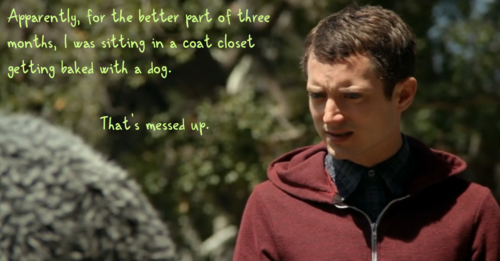 The 4-season American version of the darkly comedic show Wilfred has now been over for a couple of months. 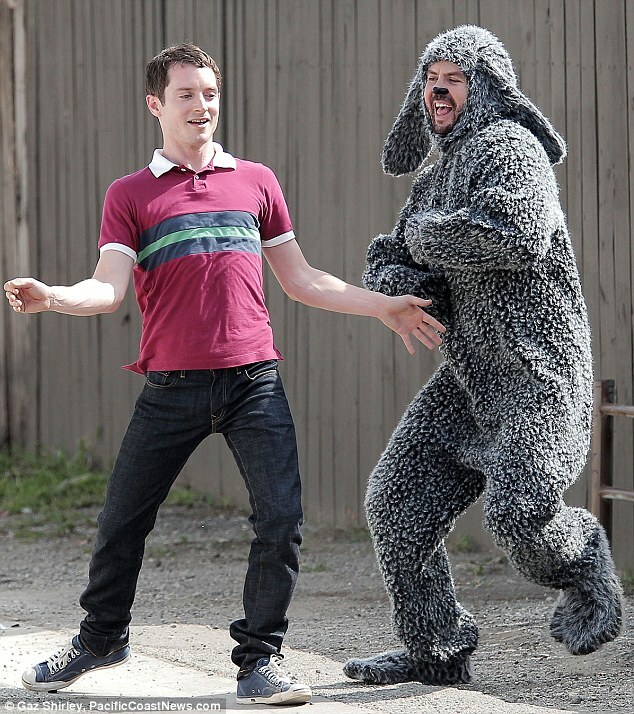 For those of you unfamiliar and unconcerned about having major plot points given away, Wilfred is an FX show about a depressed man named Ryan Newman (Elijah Wood) who discovers after a failed suicide attempt that he perceives his neighbour’s dog to be a full grown, foul-mouthed, pot smoking, Matt Damon-loving man in a dog suit (Jason Gann). NOTE: I wish to confess that I hold no copyright over any of the images I have borrowed for this post and the videos and websites I link to are all posted and created by others. I borrow and use them through fair dealing as convenient illustrations for my cultural criticism. Is Ryan an unwilling participant in a twisted psychological experiment? 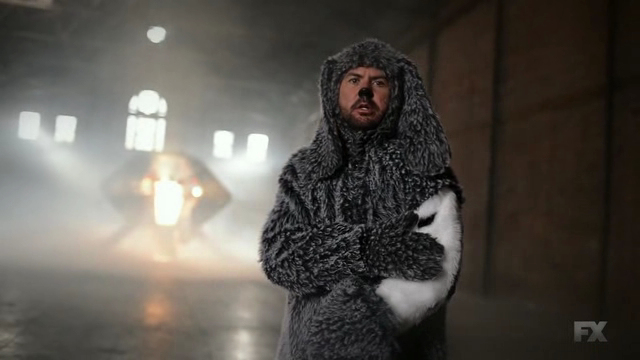 Is Wilfred just a guy in a dog suit fracking with Ryan’s mind? More often than not, though, regardless of who or what Wilfred is or what kind of mental state Ryan is in, the two are just friends: they hang out, they dance, they go on adventures, they play Clue, they host dinner parties, they bicker, argue, fight, and insult each other, they make anti-cat propaganda movies, and they smoke a lot of dope, usually in Ryan’s basement, which may not even exist. Although there are some weak episodes, overall the show is exceptionally well done: it is well written, well acted, and it is often very funny, sometimes very sad and occasionally even frightening as thunder—precisely because of how it oscillates between mysticism and psychosis (and also because of superb and very creepy guest appearances by Robin Williams and Dwight Yoakum). Eventually the show does provide us with an answer; and at first, I must admit, I was very disappointed with that answer and refused to believe it. Ryan is mentally ill, Wilfred was just a dog, and to add insult to injury, Wilfred got cancer and died, perhaps because of how much pot Ryan smoked in his presence (although I’m going to pretend that’s not the case). But there was one aspect of this ending that I missed at first, which I think is probably the most interesting part of the whole show. Once Ryan realizes he is mentally ill and Wilfred is just a dog, after a period of distress and denial, Ryan decides he doesn’t care. Wilfred made him happy and Wilfred still makes him happy. Hell, even when Ryan was sad (coming down from a bad ayahuasca trip), Wilfred was always there to comfort him. In the end, Ryan chooses to remain mentally ill because he likes it that way. More than that, the possibility that his mental illness is still in some sense connected to a profound form of spirituality remains an option, even if it appears diminished. That is what makes this show so interesting and that is why I want to focus a considerable amount of attention on its narrative in my academic exploration of the relationship between spirituality and psychology in popular culture today. The reality that that which we in the West perceive as mental illness and schizophrenia is often perceived as a form of spirituality in other cultures should not be too easily dismissed. See, for example, Shamans Among Us by Joseph Polimeni. Some have even suggested that “witchdoctors” themselves are something akin to psychiatrists. See Witchdoctors and Psychiatrists by E. Fuller Torrey (or see The Psychological Channel’s blog post on the book here). In any case, and back to Wilfred, I take pop culture narrative seriously—it is more than just entertainment and representation—and when a well made popular narrative like Wilfred addresses the relationship between mental illness and spirituality with as much depth as this show does, I take that very seriously indeed… even if I sometimes (frequently) laugh in the process. 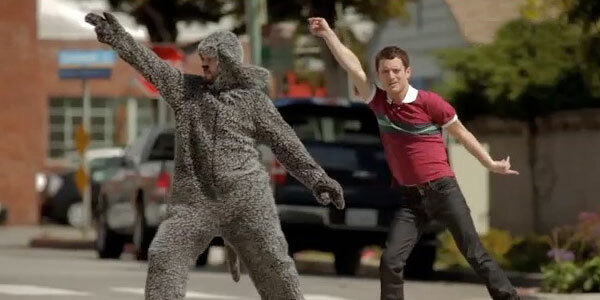 But if Wilfred is just a dog, does that mean Ryan killed him? 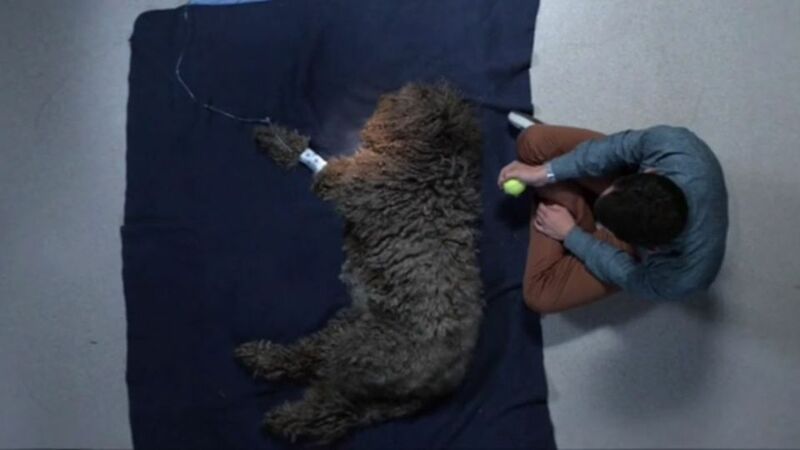 Is not Ryan at least partly responsible for Wilfred’s lung cancer? Whatever the answer to those questions may be, the truth is, Wilfred is NOT just a dog. Post Script: Just to make sure I’m not misunderstood on one key point, it is not my intention to suggest, or to say that Wilfred suggests, that people who suffer from mental illness should just be allowed to continue suffering because it will make them happy. I’m well aware of how much pain and suffering mental illnesses cause to millions of people everyday. My point is this (and I believe Wilfred depicts this in a very powerful way): some of that which we call mental illness was not always considered so and is still not always considered so in all places. If behaving, thinking and perceiving differently causes no harm in and of itself and does in fact make the person who behaves, thinks and perceives in that way happy, then what is the problem? Of course there is one problem, and once again Wilfred depicts this: if the “powers that be” say something is a mental illness even if it is not, then the person who behaves, thinks and perceives in that way will know that they are different in a way that is not acceptable and that will cause pain and suffering. But, and this is key, in that case that problem does not arise from the so-called mental illness itself. Again, just to be clear, I am not trying to generalize my point to all conditions that we call mental illness. I am not even trying to generalize my point to all conditions that we call schizophrenia or schizoaffective disorder. This entry was posted in Popular Culture, Psychology, Religion and tagged Television, Trauma, Wilfred. Bookmark the permalink.